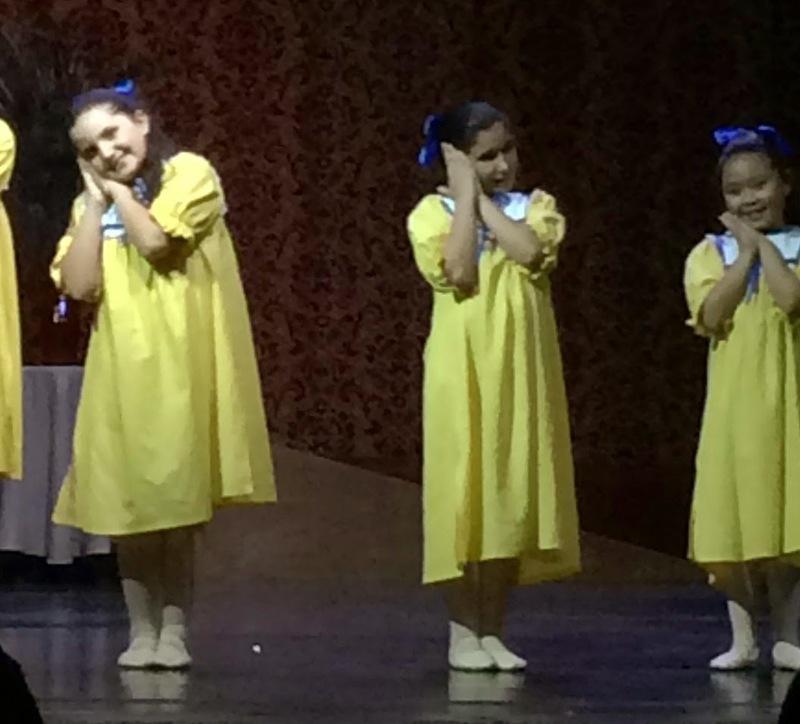 The other night, we went to the Warnor's Theater to see our granddaughter in her ballet performance. She was a "Dreamer" in the production of Midsummer Night's Dream. I really enjoyed it. The theater is beautiful, built in 1928. It is on the National Register of Historic Buildings. This is the ceiling in the outside entrance. Gorgeous. And the ceiling in the theater. Beautiful chandelier. Here she is--the one on the left. Isn't she dreamy? After the concert, she was photobombed by her father. She has the most gorgeous skin and big beautiful eyes. It was kind of odd to see her with all the heavy stage make-up. She looked so much older--a little glimpse into the future I suppose. My friend, Valerie, texted these pictures to us the other night. She and her husband, Matt, were in Memphis and saw this permanent art installation--"quilts" made out of old city signs. Seen just inside the entrance at Target. Why? We live in California.We don't even remember what rain is! This sign is in our church sanctuary. It made me think that there must be some exact formula for the maximum number of people in an enclosed space because, really, couldn't they just round up the number to an even 500? 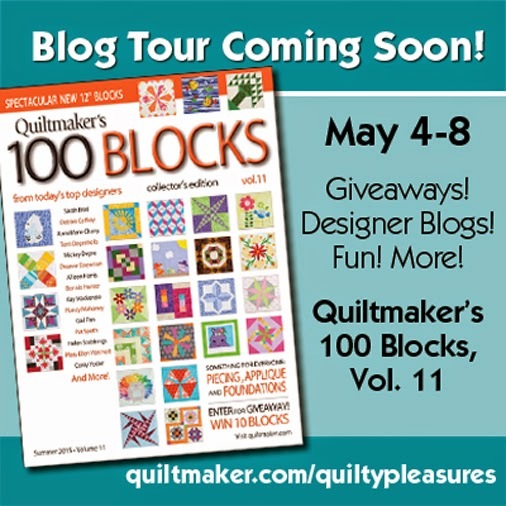 This is happening next Tuesday--my stop on the Quiltmaker's 100 Blocks tour. I hope you come back to see my block, Off the Rails. 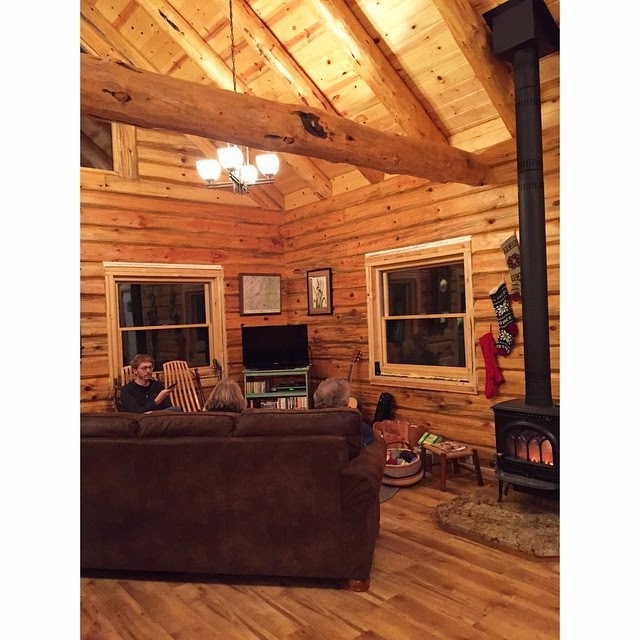 But for this weekend, I'm going off the grid--no internet connection--off to our annual quilting retreat at my friend's cabin outside of Yosemite. This year will be bittersweet. I think this is the 15th year, and for the first six or seven years, it was just three of us, Dotty, Ruth and me. Then Maggie joined us. Ruth and her husband are relocating to Washington State and this might be the last year she is able to join us. And Maggie had already booked her flight to Texas to visit family before we set a date for the retreat. So this year, it's just the original three of us. So...or sew...no internet connection. Just lots of sewing, eating and laughing with good friends. The giveaway is now closed. Thanks so much for stopping by! Welcome to today's stop on the Spring Bloom fabric blog hop. Spring Bloom is the first fabric line for designer Amanda Caronia. 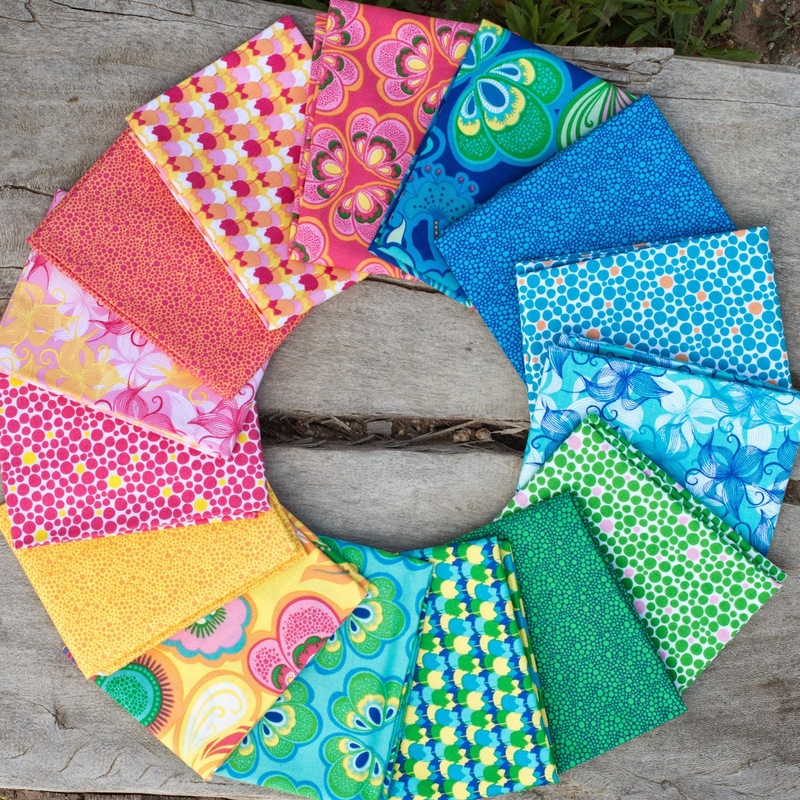 It is a bright and cheery fabric line and I'm thrilled to be participating. Awhile ago, I had come up with a positive/negative block involving hexies. So I made a practice block, decided it needed more contrast to make it "pop," set it aside and kind of forgot about it. When I saw Amanda's fabric, the block popped back into my head so I asked if I could use black as a contrast fabric. I'm really happy I did, because there is definitely some contrast going on here. In fact, as soon as my husband, Mark, saw the finished blocks, he came up with the name: Split Personality. Each one of these is a 12" finished block, so for the background of each block I cut a piece 6 1/2" by 12 1/2" of one of the Spring Bloom fabrics and another of black, which is from the fabric line Palette by Marcia Derse (also for Windham Fabrics), and sewed them together lengthwise. The hexies are 2" (meaning if you measure any of the six sides, it will be 2"). 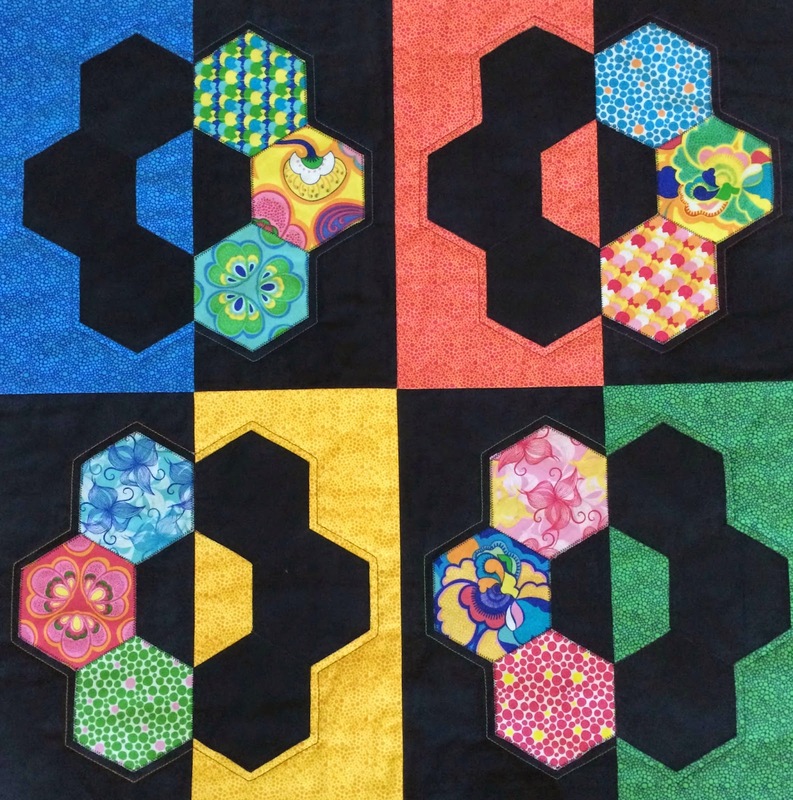 This block would be easy to enlarge or make smaller, and you can find different sizes of hexie templates here. Since I had been given a fat quarter stack, and this project didn't use much fabric, I decided at the last minute to make something for Amanda to celebrate her first fabric line. What else but a Sew Together bag? Have you made one? The best part is choosing all the fabrics, and every time I've made one, I try to use as many different fabrics as possible. I saved the selvages and used them on the outside. I hope you will take the time to check out each stop on the hop. Want a chance to win some of this fabric? Windham is generously donating a fat quarter stack at each stop on the blog hop. So just leave a comment here and let me know your favorite spring bloom.Thanks for stopping by. (ETA: The winner of the giveaway is SuperMomNoCape, who said: Visiting you from your instagram via @bellacaronia. 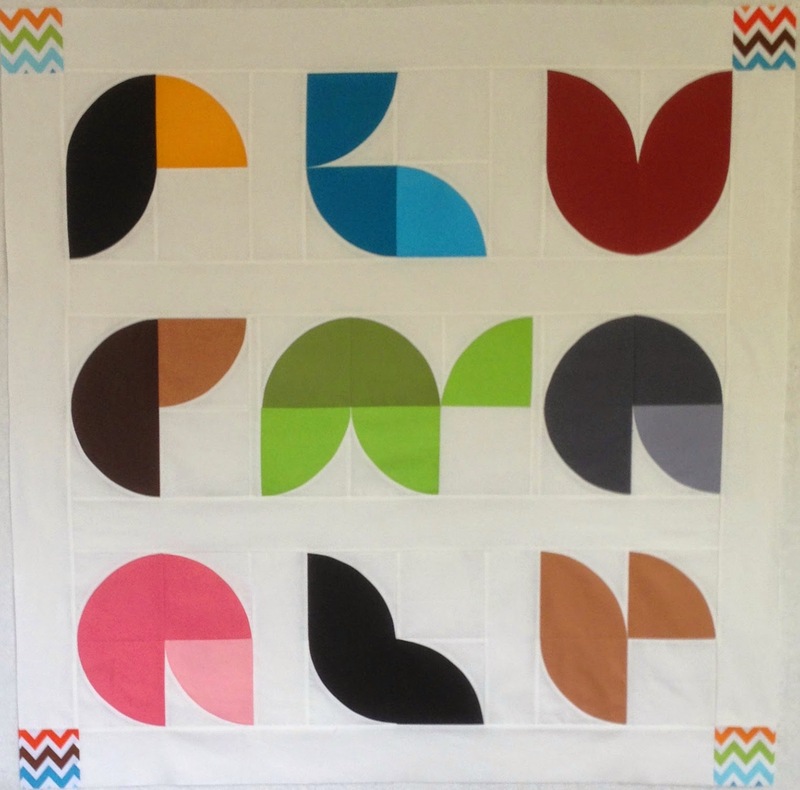 The pillow you created using her fabric line is gorgeous! I love it! My favorite spring bloom is the pansy! Thanks to both you and Windham fabrics for the great giveaway! Forgot it's Thursday so this is a little late. Oops. I would like to purchase this book for our son. He already has a head full of seemingly useless information, all of which he can retrieve in a split second, and yet it is equally filled with all the brainiac information he needs to be a successful optometrist. Meanwhile, I have absolutely no math or science cells left in my brain. Oh, Target, how I love you. Wondering how the shaver work on curves before you buy it? Well, demonstrations are provided. (It's blurry because the shavers were going up and down over those curves.) Side note: I did feel slightly weird taking a picture of the Flexiball so I waited until no curious shoppers were around and wondering, "Why??" So the other night I sewed this little diamond going the wrong way. Un-sewed. Re-sewed. When I looked at the front, one of the little tails was peeking out through the seam. I cut it off. Last night I sewed a larger hexie into the rosette, which takes considerably longer because of the three seams. The center diamond? Going the wrong way. In my case, diamonds are clearly not a girl's best friend. I located all the bee blocks from the three times it has been my turn to make the choice. Aren't they pretty? I'm super excited to work on all three of these sets over the summer. The Dresden blocks actually came from two bees: Mid Century Modern and Sew Sisters. I love them all--the blocks and all the special friends in these two bees. How about you? Anything random happening? About 1 1/2 years ago, I saw the most awesome picture in Dani's instagram feed (@knitty34)--a quilt full of animals, each one made using the drunkard's path block. I knew immediately this was THE quilt for my grandson, Gabe. Of course I contacted her right away. 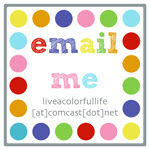 Soon thereafter, she had added the template to her blog. A nice highlight was meeting Dani at QuiltCon in February. The first version was pretty much a carbon copy of Dani's. For some reason, I started searching for the original source. By a stroke of luck, I found animodul, a brand of children's clothes and toys. Anyway...my friend thought the animal quilt would be a hot seller for the charity auction. And besides, by then I had found some more animals that HAD to be part of Gabe's quilt. The original went to our church quilting group and they are currently hand quilting it with prairie stitching for next April's auction. It was so much fun sewing this quilt. The one thing I would do differently next time is to add the eyes to each animal block before I sew all the blocks together. Fusing and blanket stitching around each of those dime-sized circles after the quilt top was already together was, well, NOT fun. And the animals really come to life when the eyes are added. Before they have the eyes, it can be kind of tricky to decide what they are. Before it went out to my friend, Darby, for quilting, Gabe had to try it out. I was thrilled with Darby's quilting--it is one of my very favorite quilting designs. And what I love most about the animals is that many of them are open to interpretation. My favorite is this crab. And the parrot is fun and colorful. At first I thought this little guy was another version of a turtle. Apparently, he is a frog. This one has been the subject of the most discussion. I originally called him a whale, until someone pointed out that he obviously was a scorpion. In Gabe's animal world, he most definitely is a FISH. What do YOU think? And then I saw these two ducks (or is that bottom one a baby chick?) and...well, what do you think the top guy is? Maybe a lizard? Whatever, I will either have to make some pillows. 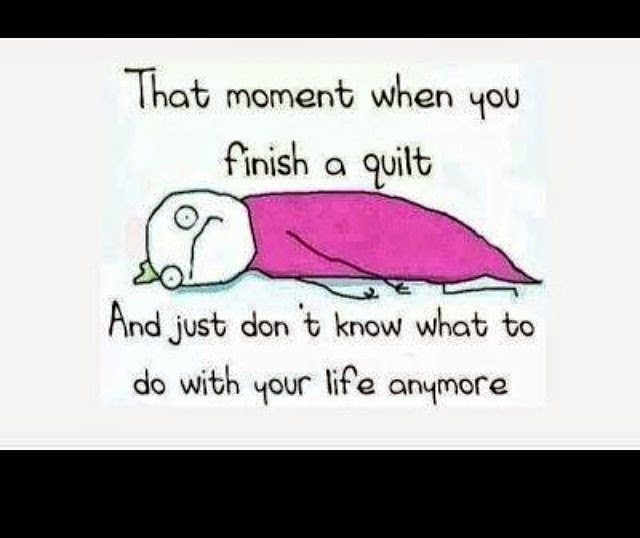 Or start another new quilt! Anyway, this quilt is probably the one I have had the most fun with. Thanks so much, Dani! Oh, and Gabe is pretty thrilled with it too. 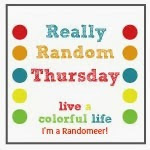 I'm linking to Crazy Mom Quilts, TGIFF and Confessions of a Craft Addict.